Thanks for subscribing to Media Trends. Tell friends to follow along by signing up here. We launched this newsletter one year ago today. 🇺🇸 Media Trends will be off next week for the July Fourth holiday. Publishers that spent years investing in making dozens of viral social media videos every day are pivoting their production efforts to creating high-quality, episodic video series that can be sold or licensed across many different video channels. The big picture: For many publishers, viral video — the holy grail of traffic just a few years ago — has now mostly become a marketing tool, due to changing consumption habits and tech platform dynamics. Now, series and shows are being created and leveraged for better revenue and audience development opportunities. "Almost all of the video publishing ATTN: does now is a part of a series. We don't really do one-off publishing any more. We're big believers in serialized programming as a mechanism for intentional viewing and for building a bigger brand and audience." Why it's happening: The shift began over a year ago, when tech companies began investing in over-the-top (OTT) video, like Facebook Watch, and when subscription video on-demand companies, like Netflix and Amazon, began investing in publisher content, according several publishing executives. "In the last year, we've seen a shift sort of after the high-high of The Facebook Live 'watermelon explosion' era. And publishers across the board, I think, saw a decline in how many people were watching their videos. It was an indication that it wasn't a direction to keep pushing on." Between the lines: Revenue opportunities, mostly advertising-based, around feed-based video content, also became difficult to rely on with traffic fluctuations. Publishers found that series-based content, which is usually sponsorship-based or are paid for through a licensing fee, have become a more consistent revenue stream. "I think that in some ways revenue is a little bit easier in part because potential partners really understand what a premium show or episode is as opposed to a viral video — there’s transparency around it," says Hilton. Yes, but: Some publishers argue that you can't completely abandon short-form video, because it's helpful from both a marketing and data perspective. "The two are extricably linked together. The series we are developing depends on data points around engagement from feed content. It's not an either-or scenario." Stephanopoulos also notes that presenting content in the feeds of readers on larger platforms (like Facebook and Twitter) is still a good way to reach audiences with breaking or timely news. "We still see value in feed-based content informing audiences about the news of the day. But at the same time, you need to invest in OTT in order to develop the relationships to be able to go deeper with the stories you cover." Who's getting it right? Axios asked several publishers which of their peers seems to be breaking through with series content. Overwhelmingly, the answer was Vox as well as The New York Times. "They do what they’re known for well," said one executive. "'Explained,' Vox's new series on Netflix, is a good example. It's true to the core of their editorial focus." 🎧 Worthy of your time: Digiday's Brian Morrissey has one of the best interviews to-date about this shift with Complex Networks CEO Rich Antoniello. 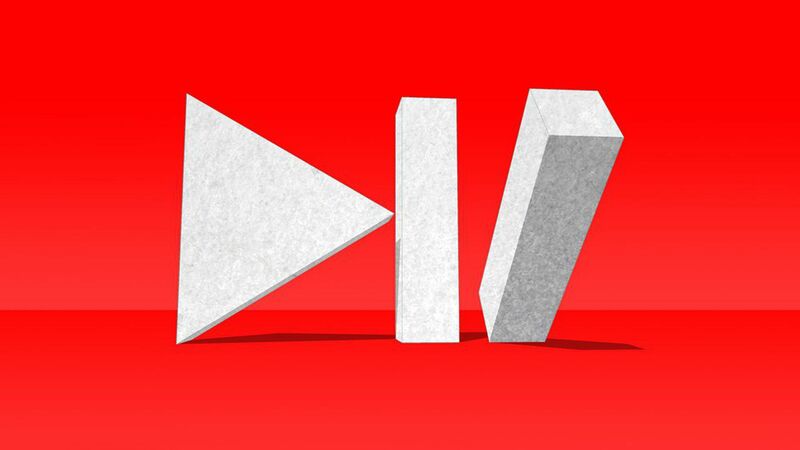 "The big problem with the 'pivot to video' is that very few people are spending any time or money focusing on and what is your individual strategy and what is that content and how does it differentiate and what is the value to end "f***ing consumer?" Listen. More than half (57%) of American television households (roughly 120 million in total) now own internet-enabled TV's, according to the Consumer Technology Association's 20th Ownership and Market Potential study. Roughly a third (31%) own 4K UHD (ultra-high definition) TV's, up from just 7% two years ago. More than two thirds (78%( of American television households own flat panel TV's. One in five (19%) of households owns a TV with a screen size of 60 inches or bigger. Consumers overwhelmingly watch connected-TV content on the big screen, and specifically, in the living room. A whopping 63% of TV-Connected Device usage for persons 2+ occurs in the Living Room, according to Nielsen. Roughly 17% occurs in the secondary bedroom and 13% occurs in the master bedroom. While CMO's sipped champaign at Cannes last week, Gen Z geeked out on the latest viral video trends at VidCon, the world's largest online video conference. I asked three of the smartest people in the industry on video tech and culture about the biggest trends they saw on the ground this year. Money, matters. More creators than ever were talking about monetization. Content creators are finally recognizing the value and engagement they provide these platforms with and they're looking to be compensated. Instagram has become the go-to platform for building an audience. It provides a more even playing field than YouTube and the barrier to entry is lower. Creators were really excited about IGTV (Instagram's new long-form video play) and the Instagram Creator Lounge was PACKED. But, YouTube is still the gold standard when it comes to creator's preferred platforms. It provides the best monetization options and being a successful YouTube vlogger still carries status. Souring on Snap. Almost all creators Lorenz spoke to had abandoned Snapchat. They told both her and Digiday's Kerry Flynn that it felt like too little too late ... and that Instagram is where "everyone is." Tubefilter's Drew Baldwin said there wasn’t a lot of buzz around Snapchat, although their activation was cool and it's still a big video player. It's no longer just a trade show. Social media had a bigger presence than last year. For the first time, Snapchat and Amazon's Twitch were sponsors. It was clear how much of an investment other brands/etc. are putting into the show. Amazon wants to build your goods. Amazon wasn't really there to talk bout video outside of Twitch (which is still mainly for gamers). It was there to push Merch by Amazon, their program to get marketers and creators to use Amazon tools to make their merchandise. Facebook is pushing subscriptions. In their closed door meetings, Facebook was talking about selling subscriptions to groups as a new revenue stream. Publishers seem open to it but creators and brands seem less enthused. Most of them use Patreon, the membership platform that helps creators get paid. Brands still don't get it. There's still a lot of eye rolling and sighing around this cultural divide between the new generation of creators and producers and brands that want to work with them. Everyone was asking about IGTV. Baldwin, who produces the annual Streamy Awards (the Emmy's of viral video) said that although Facebook announced the new product separately from the conference, it was a focal point of conversation. Creators miss Vine. Baldwin kept hearing apps describe themselves as "the revival of Vine." Many were similar but 8-second or 13-second video apps. Diversity takes center stage: VidCon, which was acquired by Viacom earlier this year, has been pushing to welcome a more diverse community of creators since its inception in 2010. According to VidCon, there was an increased focus on diversity this year: 40% of the creators this year were of color and 50% of the creators this year were women. The topic of immigration reached a tipping point on June 19, 2018, when it rose to the fourth most viewed topic in Parse.ly, a traffic analstics firms', network of thousands of publishers. Stories about immigration received attention from 200,000 people per hour, which made this the biggest political topic in the Parse.ly network, other than Donald Trump himself. To keep up with the demand for this topic, publishers have written over 700 articles about ‘immigration’ since June 13; they’ve also seen seen a huge social uptick from articles about ‘asylum seekers’, and a huge recent influx of attention surrounding Melania Trump." "Compared to the average, twice as many people found immigration topics through Facebook, indicating that audiences are sharing their opinions publicly and encouraging their friends and family to read more." — Andrew Montalenti - Chief Technology Officer - Parsely, Inc.
Why it matters: The ability to understand and analyze this type of data will roll out today through a new Parse.ly product for publishers called Currents, which measures attention — real people spending real time reading articles published by the world’s biggest content publishers. A quiet wager has taken hold among researchers who study artificial intelligence techniques about whether someone will create a so-called Deepfake video about a political candidate that receives more than 2 million views before getting debunked by the end of 2018, writes Jeremy Tsu for IEEE Spectrum, a magazine edited by the Institute of Electrical and Electronics Engineers. Why it matters: Deepfakes could have a massive impact on politics and elections because they are able to quickly sway narratives through viral social media posts and they are hard to debunk and correct in real time. Bottom line: "It all comes down to when the technology may mature enough to digitally create fake but believable videos of politicians and celebrities saying or doing things that never actually happened in real life," Tsu writes. A global campaign against fake news has started to put pressure on consumers to be more discerning about Deepfakes. Comedian Jordan Peele and Buzzfeed CEO Jonah Peretti teamed up to do a doctored video of former President Barack Obama last year as a public service announcement. What's next? Platforms are investing in technology to help expose Deepfakes and get ahead of misinformation in the form of doctored pictures and videos. Truepic, a startup that adds URL watermarks to pictures and videos shot through its technology, has raised $8M to expose Deepfakes and verify photos for Reddit, per TechCrunch. Marketers are putting pressure on social media influencers to stop using fake accounts and followers to inflate their authority. Unilever, the consumer packaged goods company that owns brands like Lipton and Dove and spends billions on advertising each year, called for greater transparency in influencer marketing during the Cannes Lions ad festival last week, per The Wall Street Journal. Other brands, like L'Oréal, eBay and Diageo are also beginning to address influencer fraud, according to The Drum. Some, including eBay, have created their own influencer networks of vetted influencer accounts. What's next? There are some private sector efforts to help brands weed out which people may have fake non-human followers. Latium, for example, a McAfee-backed tasking platform is launching a new “Proof of Human” feature which will mitigate the ability to operate multiple accounts and will verify that the account you're dealing with is actually a human being. Throwback: The New York Times' "Follower Factory" expose details the millions of dollars spent in the fake follower industry. Mobile paid search will drive Internet advertising revenue through 2022, according to a new Media and Entertainment Outlook from PriceWaterhouseCoopers. Mobile display will also continue to grow by over 50% between 2018 and 2022. In the next five years, no other segment will contribute more yearly added revenue to the US Internet advertising market than paid search, once the wired and mobile subsegments are combined, per PwC. Why it matters, search and social advertising from dominant ad platforms like Google and Facebook will continue to push advertising growth across the entire internet advertising ecosystem..
Local TV: Gray television is buying Raycom in a deal valued at $3.6 billion, per Broadcasting and Cable. "In a combination of broadcast groups they are billing as creating "the single largest owner of top-rated local television stations and digital assets in the country.'" Ad tech: AT&T agrees to buy AppNexus, one of the largest privately-owned ad exchanges, for $1.6 billion. It's part of a deeper push into digital advertising following its purchase of Time Warner. Entertainment: Disney increased its' bid for Fox to $71.3 billion to fend off Comcast. The ball is now in Comcast's court if it wants to win the fight with another counter offer. Telecom: AT&T expressed interest in CBS to Shari Redstone before the Time Warner deal, The Wall Street Journal reports.